Spring is here and you know what that means! Recital time!!! We are busy at the studio getting everything perfect and ready to go for the big days. Costumes, theater decorations, and most importantly, the FABULOUS dances! We are excited to see all of our students hit the stage because we know how rewarding and special that moment is for young dancers. 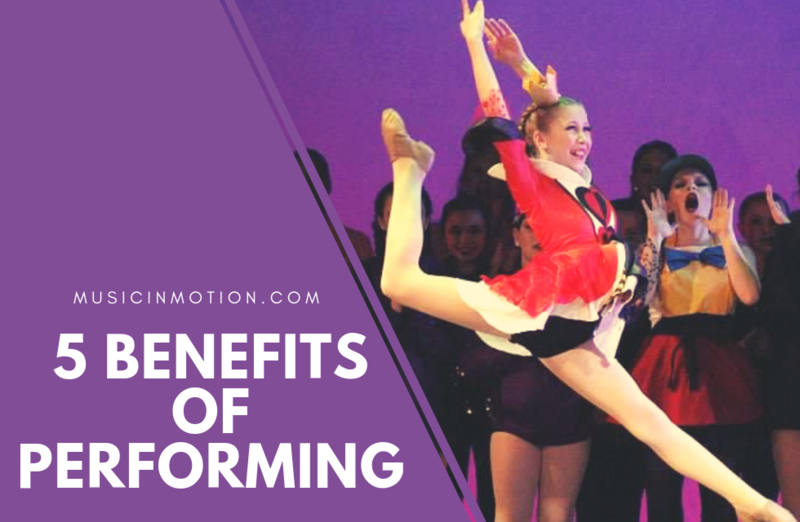 At Music in Motion, we believe performing in a dance recital is one of the most beneficial gifts a parent can give to their kids. There’s so much a child can gain from stepping on stage and learning to shine in front of an audience. Ask any of our staff members at Music in Motion and they will tell you that this one holds true time and time again. We truly believe that performing (and dance training in general!) lights a spark in so many kids and helps them feel awesome in their skin. Stepping on stage forces you to step out of your comfort zone. When the lights are shining, music is playing, and the audience has their eyes on you, there is just NO hiding. At our dance recital, kids set all their insecurities aside and learn that what they can do is incredible. No matter how many mistakes they make, their loved ones will be in the audience cheering them on the whole time. And take it from us, there is NOTHING like strutting off stage while hearing a roaring applause from the audience. We love ending our dance year with a big production because it gives our dancers something to work towards. Everything we do during class throughout the year contributes to their success on stage. We begin setting goals with our dancers in September, and reaching those goals is a whole lot of fun when it means looking AWESOME on stage. On top of technique goals (like getting their splits or consistently nailing a double pirouette), our dancers learn and perfect their recital routines. It’s not easy to memorize a 3-minute dance, but the feeling of walking off-stage afterwards is incredibly rewarding. Hard-work is an essential life skill and dance is a great activity to help kids learn the value of it! In addition to their individual goal setting, recital season helps our kids learn how to work together on a team. In class, we are constantly teaching our dancers to dance as one collective group, perfectly in sync with on another. We utilize counting, music cues, breath, and most importantly visual awareness to help them learn how to stay together. This forces them to step outside of themselves, and be a reliable team member. Nailing a dance is so much more fun when the WHOLE group nails it with you! If you are one of the few dancers who don’t feel at all nervous before stepping on stage, you are one of the lucky ones! Almost all of our students get pre-show jitters on the big day, and a ton them feel nervous even though they are perfectly prepared. It’s understandable! After all, a whole theater audience has their eyes completely on YOU! We love, love, love giving those dancers a pep-talk backstage and watching them set their nerves aside as they step on stage. It gives us chills to see them work through that anxiety and shine on stage. Performing helps our students learn how to deal with their emotions and tell themselves they can do anything in life, even when it seems scary. Performing is special because it’s not just fun for the dancers. It’s a way to entertain an audience and share dance with others. Throughout the year, we see our students start to really love the art form, so getting a chance to share that love is rewarding. 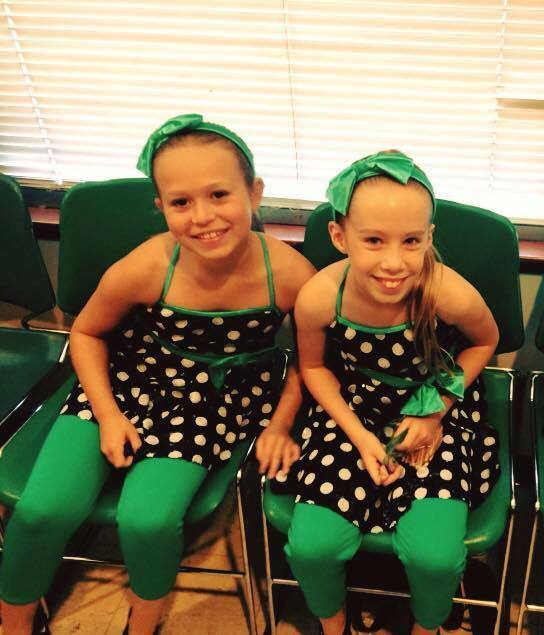 It is important for kids to share their joy and performing in a dance recital is the perfect outlet for that! It’s one of the many ways that our kids learn how to bring positivity to the world around them. Now you know why we are bursting with excitement for our upcoming recital! It is SO much fun and truly a great experience for our kids. Get your tickets online now to watch our dancers shine! It’s going to be a great show. Our early bird ticket pricing is only available until May 1st so hurry over to our website! See you at the theater!